The Imperial Rule Assistance Association(大政翼贊會/大政翼賛会,Taisei Yokusankai), or Imperial Aid Association, was Japan's wartime organization created by Prime Minister Fumimaro Konoe on October 12, 1940, to promote the goals of his Shintaisei ("New Order") movement. It evolved into a "statist" ruling political party which aimed at removing the sectionalism in the politics and economics in the Empire of Japan to create a totalitarian one-party state, in order to maximize the efficiency of Japan's total war effort in China. When the organization was launched officially, Konoe was hailed as a "political savior" of a nation in chaos; however, internal divisions soon appeared. Uyoku dantai are Japanese ultranationalist far-right groups. In 1996 and 2013, the National Police Agency estimated that there are over 1,000 right-wing groups in Japan with about 100,000 members in total. Based on recommendations by the Shōwa Kenkyūkai (Shōwa Research Association), Konoe originally conceived of the Imperial Rule Assistance Association as a reformist political party to overcome the deep-rooted differences and political cliques between bureaucrats, politicians and the military. During the summer of 1937, Konoe appointed 37 members chosen from a broad political spectrum to a preparatory committee which met in Karuizawa, Nagano. The committee included Konoe's political colleagues Fumio Gotō, Count Yoriyasu Arima and ex-syndicalist and right-wing spokesman Fusanosuke Kuhara. The socialist and populist left wing was represented by Kingoro Hashimoto and the traditionalist military wings by Senjūrō Hayashi, Heisuke Yanagawa and Nobuyuki Abe. The Shōwa Kenkyūkai was a political think tank in the pre-war Empire of Japan. A bureaucrat is a member of a bureaucracy and can compose the administration of any organization of any size, although the term usually connotes someone within an institution of government. National syndicalism is an adaptation of syndicalism to suit the social agenda of integral nationalism. National syndicalism developed in France, and then spread to Italy, Spain, Portugal and Romania. Syncretic politics, or spectral-syncretic, refers to politics that combine elements from across the conventional left–right political spectrum. The term "syncretic politics" has been derived from the idea of syncretism. The main idea of syncretic politics is that taking political positions of neutrality by combining elements associated with the left and right can achieve a goal of reconciliation. Since this umbrella term is defined by the combination of the two standard poles of a given one-dimensional political spectrum, it refers to quite heterogeneous approaches. Prior to creation of the Imperial Rule Assistance Association, Konoe had already passed the National Mobilization Law, which effectively nationalized strategic industries, the news media, and labor unions, in preparation for total war with China. National Mobilization Law was legislated in the Diet of Japan by Prime Minister Fumimaro Konoe on 24 March 1938 to put the national economy of the Empire of Japan on war-time footing after the start of the Second Sino-Japanese War. Nationalization is the process of transforming private assets into public assets by bringing them under the public ownership of a national government or state. Nationalization usually refers to private assets or assets owned by lower levels of government, such as municipalities, being transferred to the state. The opposites of nationalization are privatization and demutualization. When previously nationalized assets are privatized and subsequently returned to public ownership at a later stage, they are said to have undergone renationalization. Industries that are usually subject to nationalization include transport, communications, energy, banking, and natural resources. The National Spiritual Mobilization Movement was an organization established in the Empire of Japan as part of the controls on civilian organizations under the National Mobilization Law by Prime Minister Fumimaro Konoe. Yamato-damashii or Yamato-gokoro is a Japanese language term that refers to the cultural values and characteristics of the Japanese people. The phrase was coined in the Heian period to describe the indigenous Japanese 'spirit' or cultural values as opposed to cultural values of foreign nations such as those identified through contact with Tang dynasty China. Later, a qualitative contrast between Japanese and Chinese spirit was elicited from the term. Edo period writers and samurai used it to augment and support the Bushido concept of honor and valor. Japanese nationalists propagandized Yamato-damashii – "the brave, daring, and indomitable spirit of Japanese people" – as one of the key Japanese military-political doctrines in the Shōwa period. English translations of Yamato-damashii include the "Japanese spirit", "Japanese soul", "Yamato spirit", and "The Soul of Old Japan". Lafcadio Hearn mentions the latter in connection with Shinto. Hakkō ichiu(八紘一宇, "eight crown cords, one roof" i.e. "all the world under one roof") was a Japanese political slogan that became popular from the Second Sino-Japanese War to World War II, and was popularized in a speech by Prime Minister of Japan Fumimaro Konoe on January 8, 1940. In addition to drumming up support for the ongoing wars in China and in the Pacific, the Imperial Rule Assistance Association helped maintain public order and provided certain public services via the tonarigumi neighborhood association program. It also played a role in increasing productivity, monitoring rationing, and organizing civil defense. The Imperial Rule Assistance Association was also militarized, with its members donning khaki-colored uniforms. In the last period of the conflict, the membership received military training and was projected to integrate with civil militia in case of the anticipated American invasion. In March 1942, Prime Minister Hideki Tōjō attempted to eliminate the influence of elected politicians by establishing an officially sponsored election nomination commission, which restricted non-government-sanctioned candidates from the ballot. After the 1942 Japanese General Election, all members of Diet were required to join the Yokusan Seijikai (Imperial Rule Assistance Political Association), which effectively made Japan a one-party state. The Imperial Rule Assistance Association was formally dissolved on June 13, 1945. During the occupation of Japan, the American authorities purged thousands of government leaders from public life for having been members of the Association. Later, many of the leaders of the Imperial Rule Assistance Association became major members of the LDP and the Social Democratic Party. ↑ Shillony, Ben-Ami (1981). Politics and Culture in Wartime Japan. Oxford University Press. pp. 23–33, 71–75. ISBN 0-19-820260-1. Kōichi Kido served as Lord Keeper of the Privy Seal of Japan from 1940 to 1945, and was the closest advisor to Emperor Showa throughout World War II. He was convicted of war crimes and sentenced to life imprisonment of which he served 6 years before being released in 1953. Kingoro Hashimoto was a soldier in the Imperial Japanese Army and politician. He was famous for having twice tried to stage a coup against the civilian government in the 1930s. The Great Japan Youth Party, later known as the Great Japan Sincerity Association, was a nationalist youth organization in the Empire of Japan modeled after Nazi Germany's Hitler Youth. It was active from 1937 until its dissolution in 1945. The Yokusan Sonendan was an elite para-military youth branch of the Imperial Rule Assistance Association political party of wartime Empire of Japan established in January 1942, and based on the model of the German Sturmabteilung (stormtroopers). The League of Diet Members Supporting the Prosecution of the Holy War was a political party coalition in the lower house of the Diet of Japan formed on March 25, 1940, with the backing of the Imperial Japanese Army as a reaction against a speech made by Saitō Takao, of the Rikken Minseitō critical of the government’s aggressive policies in the Second Sino-Japanese War. 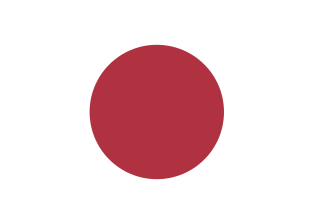 The 21st General Election of Japan of the House of Representatives took place in Japan on April 30, 1942. It was the only election in Japan during the Pacific theater of World War II. At this time, the lower house no longer had any significant executive and legislative power, and power had increasingly gone to the military dictatorship since the "Manchurian Incident", the invasion of Manchuria by the Imperial Army without regard to the cabinet in 1931. Since 1932 when Admiral Viscount Saitō Makoto was appointed prime minister with the first so-called "national unity cabinet", few members of the political parties in the House of Representatives had any significant role in government. Count Yoriyasu Arima was a Japanese politician before and during World War II. His wife was the daughter of Prince Takeda Tsunehisa. Shōzō Murata was a Japanese entrepreneur, cabinet minister and diplomat before, during and after World War II. Takeru Inukai was a Japanese politician and novelist active in Shōwa period Japan. Also known as "Inukai Ken", he was the third son of Prime Minister of Japan Inukai Tsuyoshi. Ryūtarō Nagai, was a politician and cabinet minister in the Empire of Japan, serving a member of the Lower House of the Diet of Japan eight times, and four as a cabinet minister. He was noted in his early political career as a champion of universal suffrage, social welfare, labor unions, women's rights and Pan-Asianism. Tsuneo Kanemitsu, was an entrepreneur, politician and cabinet minister in the Empire of Japan, serving eight terms as a member of the Lower House of the Diet of Japan, and twice times as a cabinet minister. He also served twice in the post-war Lower House of the Diet. Hiroya Ino, was a politician and cabinet minister in Japan, serving once as a member of the Lower House of the pre-war Diet of Japan, and three times as a member of the post-war House of Councillors. He also held cabinet-level posts three times. Toshio Shimada was a politician and cabinet minister in the pre-war Empire of Japan. Taketora Ogata was a Japanese journalist, Vice President of the Asahi Shimbun newspaper and later a politician. During the war, he joined the Imperial Rule Assistance Association. After the end of the war, he was purged from public service. Later, he became the Chief Secretary of the 4th Yoshida Cabinet, Vice President and then President of the Liberal Party of Japan of Japan, but he died before becoming a prime minister. Shigeyoshi Matsumae was a Japanese electrical engineer, inventor of the non-loaded cable carrier system, the Minister of the Ministry of Communications, politician and the founder of Tokai University. He is also known as a patron of Yasuhiro Yamashita, a judo champion from Tokai University. Kisaburō Andō was a career officer and lieutenant general in the Imperial Japanese Army, who served as a politician and cabinet minister in the government of the Empire of Japan during World War II. Michio Yuzawa was a bureaucrat and cabinet minister in early Shōwa period Japan. Machida Chūji was a politician and cabinet minister in the pre-war Empire of Japan. Aldus, Christop (1999). The Police in Occupation Japan: Control, Corruption and Resistance to Reform. Routeledge. ISBN 0-415-14526-0. Duus, Peter (2001). The Cambridge History of Japan. Palgrave Macmillan. ISBN 0-312-23915-7. Stockwin, JAA (1990). Governing Japan: Divided Politics in a Major Economy. Vintage. ISBN 0-679-72802-3. Wolferen, Karel J (1990). The Enigma of Japanese Power: People and Politics in a Stateless Nation. Vintage. ISBN 0-679-72802-3.